"The whole land of Canaan, where you are now an alien, I will give as an everlasting possession to you and your descendants after you; and I will be their God." Then God said to Abraham, "As for you, you must keep my covenant, you and your descendants after you for generations to come. This is my covenant with you and your descendants after you, the covenant you are to keep: Every male among you shall be circumcised. You are to undergo circumcision, and it will be the sign of the covenant between me and you. For the generations to come every male among you who is eight days old must be circumcised, including those born in your household or bought with money from a foreigner -- those who are not your offspring." 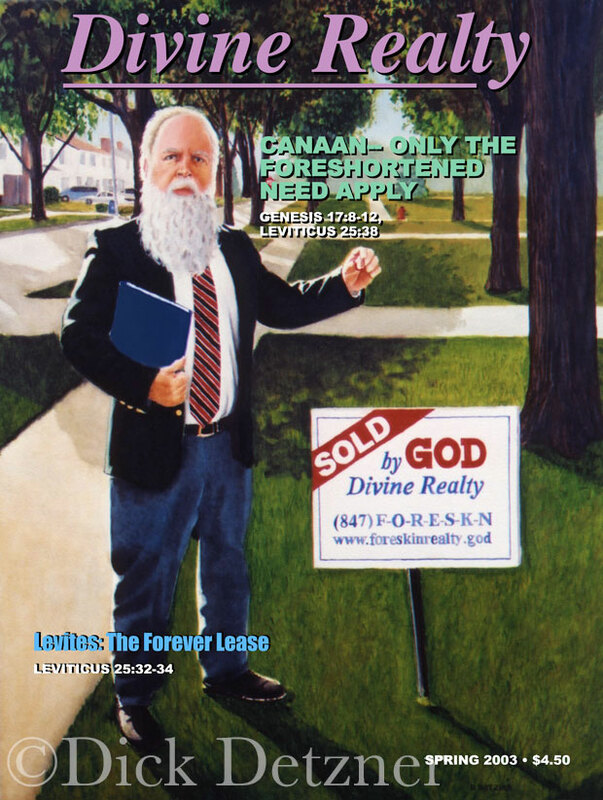 The Levites always have the right to redeem their houses in the Levitical towns, which they possess. So the property of the Levites is redeemable -- that is, a house sold in any town they hold -- and is to be returned in the Jubilee, because the houses in the towns of the Levites are their property among the Israelites. But the pastureland belonging to their towns must not be sold; it is their permanent possession.